1. My friends Charles and Jordi welcomed their daughter to the world on Monday. I haven’t met her yet, but the pictures suggest she’s just perfect. 2. At the doctor’s office on Wednesday, my height was measured at 5′ 8.5″, which is 3/4 of an inch taller than I thought I was. 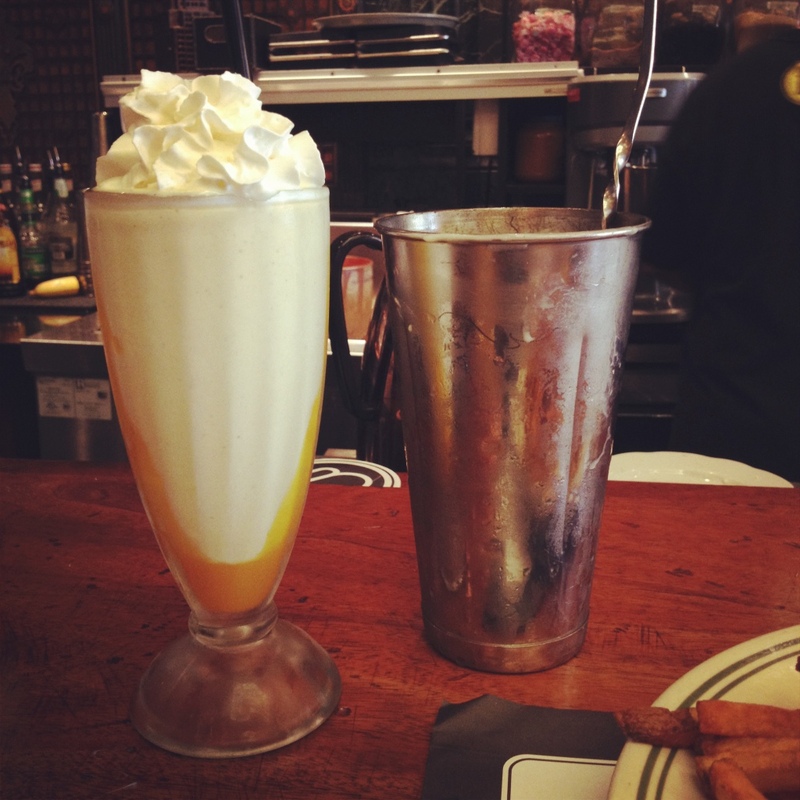 The “Orange Push-Up” milkshake at Ted’s Bulletin. Whats’ been beautiful in your world this week? 1, 2, 3: A herniated disk in my neck! So grateful to Eileen, for all of her love and help and support! Lots of beautiful things here but #1 is Loon’s “good diagnosis” — while, not a picnic (I’ve had one so speak from experience here), this is fixable and manageable. #2 has got to be the progress on Eileen & Chris’ new home. While exhausted, it sure is good to hear and see (and share) their excitement and happiness. #3 — my next-door BFFs became grandparents to boy/girl twins this week — all well — and a very happy ending to a stressful “awaiting”. Oh, and because B mentioned it right away — #5 — all my kitchen cabinetry has been repaired at long last — 7 new drawers now GLIDE in and out!! 1. The house passed inspection so we can move on to insulation, dry wall, etc. 2. Loon had a great doctor report, another friend had a baby, another had her offer accepted on the house she wanted in our neighborhood, and another has a great job prospect/interview. All of which = beauty! !